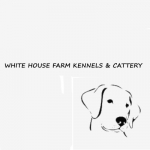 WELCOME to White House Farm Kennels & Cattery, situated in the rural village of Askwith just three miles from Otley and Ilkley. We are a family run kennel established over 30 years ago. The business has grown by recommendation and word of mouth referral ; early booking is essential. At White House Farm we make your pet our priority. We provide a warm, safe and caring environment in a quiet and relaxed atmosphere. Being a small kennel we have the time to give personal attention, treating your pet as one of our own. Leaving your pet, especially for the first time, is never easy so we welcome you to visit beforehand to chat about any queries you may have. Please telephone or text 01943 467597 or 07739 977773 to arrange a mutually convenient time.